Technology is often viewed as a double edged sword: it makes life easier but it also has the power to threaten jobs, privacy, and human connections. Yale University & Oxford’s Future of Humanity Institute polled industry experts in 2016 and found that machine intelligence (A.I.) will replace all human jobs by 2136. Despite statistics like this, I’d like to make the case that there are many ways that technology actually revitalizes communication. The next few posts will explore tech tools, like podcasts, that encourage rather than diminish human connections. Podcasts are everywhere, even TV legend Levar Burton recently announced his upcoming podcast: “LeVar Burton Reads.” That’s right, the host of Reading Rainbow who encouraged us to read as children is back, 2.0 style, with a podcast where he will read a “piece of short fiction.” A very brief history of the term “podcast”: Ben Hammersley, a British Journalist, invented the word in 2004 by combining “pod” as in Apple’s portable music player iPod & “cast” from broadcast. Unlike a radio broadcast, podcasts are electronic files that can be downloaded or streamed at any time. As a tech tool, podcasts are affordable and can be used for either instruction or entertainment. A public library can use them to interview authors and tackle issues important to the community. The New York Public Library podcasts feature interviews with NBA star and author Kareem Abdul-Jabbar and tackled the issue of death with Warner Herzog. Of course most libraries cannot attract such stars but they can interview community leaders and local authors. 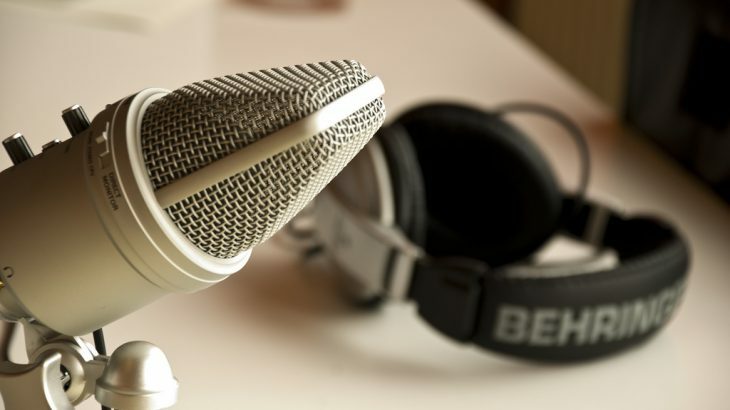 Law firms can use podcasts to attract clients, or explore legal issues. It’s a no brainer that academic libraries can offer podcast lectures for students. So podcasts are versatile but what tools are required to bring them from conception to fruition? Assuming your organization has established a theme (for help on this check out this In-Depth Guide), the required technology is actually very simple. Storage. Find a home for your podcasts. Third party sites can be used to host your podcast (Soundcloud, Libsyn) but most libraries already have a website and a podcast page (or section) can easily be added. Microphone. Many computers come with a built-in microphone but audio quality is very important, so it’s worth it to invest in a mic. Amazon sells mics from as low as $8– look for microphones described as “condenser” or “dynamic” and those that plug directly into your computer’s USB port. Headphones. Most experts agree that sound quality is better when the headphone and mic are separate. Software. The actual recording requires software. Free options include Audacity or Avid’s Pro Tools First. Test them out and see which format sounds best. If the funds exist to purchase software, consider Adobe Audition or Magix Sound Forge Audio Studio. Don’t want to invest in software? Many public libraries have a recording studio that you can use free of change, and added bonus: knowledgeable staff to assist in the production. Extras! These are not essential but cheap and can enhance the recording- pop filter & suspension boom. The Pew Research Center’s 2016 State of News Media found that one in five adults (12 or older) have listened to a podcast in the past month, a 12% increase from six years ago. 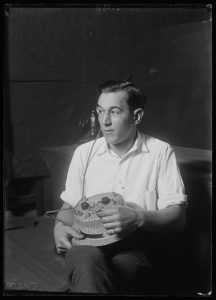 When I was writing this I came across an article about “radio hats” a functional fashion statement that allowed commuters to follow their favorite radio program while traveling. Eventually this trend was replaced by the transistor radios and today’s podcast. Much like a radio broadcast, podcasts cannot be automated- they rely on the audience feeling connected with the host, guests, and subject matter. And you don’t need a huge budget or a recording studio, just a few basic tools can spread your organization’s message, develop community relations, and promote education. Are you using podcasts? What have you find works or doesn’t? Any best practices to share? Podcast digital media, Podcast. permalink.